Guardianships are usually established because an individual cannot make informed decisions regarding their health, safety, or financial status. In Pennsylvania, to create a valid guardianship, a person interested in the incapacitated person’s welfare must satisfy several requirements. If the requirements for forming a guardianship are met, a guardian can then be chosen for the incapacitated person. If you or a family member need assistance establishing a guardianship, you should consult with an experienced Delaware County guardianship lawyer. At Herr Potts and Potts, our lawyers are dedicated to providing with you the legal representation you deserve. Our lawyers are here to explain how to give guardianship to a family member in Pennsylvania. Individuals over the age of majority have the right to make all decisions regarding their well-being. However, if someone has difficulty making decisions because of a mental or physical affliction, an interested party can seek a guardian to help that person. A guardian can be appointed to handle an individual’s financial or medical affairs. Before a guardian can be appointed, there must be a legal proceeding to determine whether an individual is incapacitated and requires a guardian. To be judged incapacitated, a person must be unable to receive and process information sufficiently enough to make an informed decision concerning their financial resources or health. For example, if an individual is injured and requires urgent medical care but they do not appreciate the gravity of their injuries, this may be used to show incapacity. 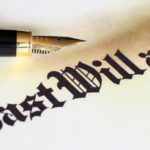 A guardianship proceeding begins when a person interested in another’s well-being files a petition with Court of Common Pleas, Orphans Court Division. The filer of the petition (the “petitioner”) then has to serve the alleged incapacitated person (the “respondent”) with a copy of the petition that clearly shows the time, date, and place of the guardianship hearing at least 20 days before the hearing. The petition must state why the proceeding was initiated and the rights the respondent may lose if they are judged incapacitated. Additionally, the respondent has to be informed of their right to appointed or paid counsel, and any close family members or interested parties must also be given notice of the hearing. This is not an exhaustive list, and the court may consider other factors before deciding whether a person is incapacitated. The respondent or family of the respondent can also contest guardianship proceedings. After the guardianship proceeding is concluded, the court will appoint a guardian a plenary or limited guardian. A plenary guardian handles all the affairs of an incapacitated person. 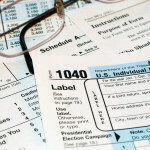 A limited guardian only handles certain affairs, like tax matters for an incapacitated person. If a family member of the incapacitated person wants to serve as a guardian, they should alert the court of their willingness to serve as a guardian. The court may also give preference to a person chosen by the incapacitated person. The family member serving as a guardian must not have interests that clash with those of the incapacitated person unless there are no reasonable alternatives. The guardian also cannot use the incapacitated person’s funds for their own purposes, like withdrawing money from a special needs trust. The appointment of a guardian is permanent. This means a family member will serve as a guardian until the incapacitated person’s condition improves or the incapacitated person passes away. If a guardian feels that they cannot complete all the duties required of a guardian, they should notify the court, and they will appoint a new guardian. If the current guardian wants to resign or transfer guardianship, the court may appoint a new guardian. Any family member who would like to serve as a guardian if the current guardian resigns should inform the court of their desire to serve. If you need to file a guardianship for your loved one, you should speak with an experienced West Chester guardianship attorney. At Herr Potts and Potts, our attorneys are prepared to help you seek a guardianship to protect your family member. To schedule a confidential consultation, contact us at (610) 254-0114.